As per the second quarterly report of 2014, Twitter showed 275 million monthly users, a figure which is up by 25% last year and the advertisers are eager to pounce on this always-expanding Twitter community. The statistics reveal that the user base of Twitter is expanding and there are growing numbers of brands which want to advertise to those users. If you too want to get on board but you’re not sure about the Twitter ads tips to follow, go through the concerns of this article. Utilize Twitter cards: Just as you need to optimize your posts to increase conversion through social media, it is the same strategy for your advertisements. If you can invest your budget on the greatest Twitter advert, you may spend a little bit of time setting Twitter Cards for your website. Twitter Cards enhances the efficiency of your tweet and makes it suit the mission of your campaign. Try multiple tweets in a campaign: Are you feeling confused about offering free trips to the Moon and Sun with each of your retweets? May be you are left wondering whether to use the black and white picture or the white and black one. This is when you should test a bunch of various tweets within your campaign and Twitter will test and promote them to tell you which is performing better. 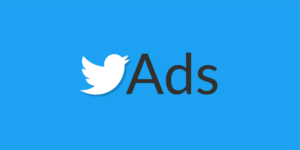 This is one of the best among the Twitter ads tips mentioned here. Set disparate budgets for countries: If you want to seek better return on investment from your Twitter ad campaigns, categorize them per market and experiment with the budgets of different country. The advertising portal of Twitter will tell you about a certain time but you shouldn’t deviate from one way to another to know which campaign works best. Create new hashtags and avoid generic: When you do your regular tweeting, giving the right hashtags will get you in front of the eyes of your potential customers. Instead of using generic hashtags for your company posts, think of those that tie to your campaign and get people talking about it. Therefore, if you’re wondering about the different Twitter ads strategy that you can use in order to help yourself create a niche in this social networking site, take into account the points mentioned above. You may also discuss other strategies with Twitter specialists.